For these events I wanted wear something new and special. I look for a pair of shoes that would look elegant and fashionable and I was able to find the perfect pair on Heels.com. They have so many options to sort through the many styles they have that I was able to find the perfect pair in no time. They have a great selection of JustFab Shoes and I feel in love with and got the JustFab Jena Platform Pump. I have never ordered shoes online so I was a little nervous about the fit but I used their measurement guide and they fit perfectly. The shipping was very quick (two days) and I was able to try them on and squeal with excitement at how amazing they looked. They are very well made. 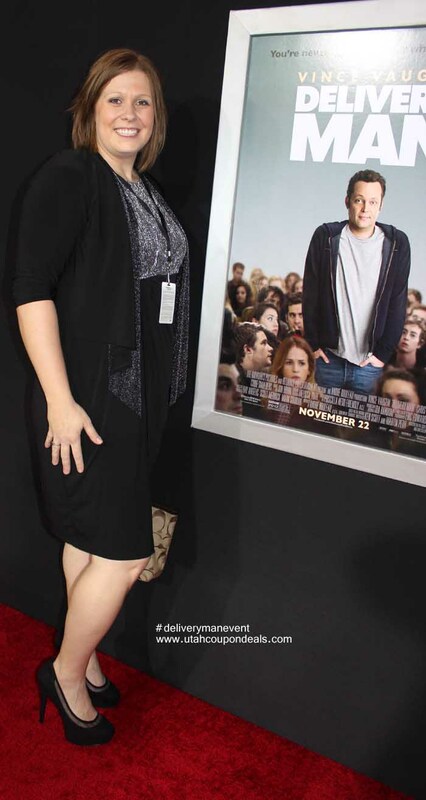 I wore them to both red carpet events (which included a lot of walking to and from as well as the after party and other things) and they still look amazing and are as sturdy as ever. They can be worn with or without the strap as well. Heels.com is such a great company to work with. They have so many styles and colors as well as great prices and fast free shipping! They even have a great return program if the shoe doesn’t fit right! They have two day shipping so you won’t be waiting around for your feet to sport the latest fashion and styles. They also have amazing customer service and are great about resolving any questions or issues you have! 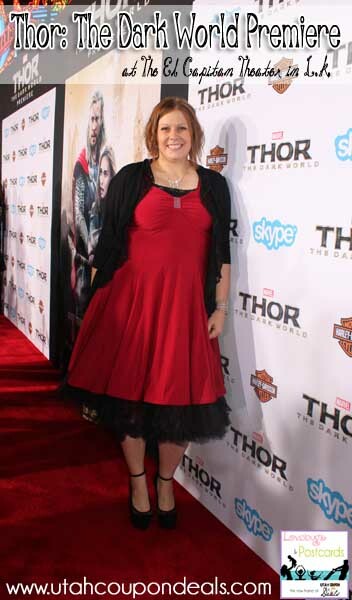 Thank you Heels.com for helping me look amazing at my Red Carpet Premieres for The Delivery Man and Thor: The Dark World. I love my shoes and get so many compliments on them every time I wear them! I received a pair of heels free to wear to my red carpet events in LA. This does not influence my opinions and they are 100% my own. I only recommend products or services that I believe will be beneficial to my readers. Those are some high heels. But they are very cute. You rocked those heels very well! I hope you had an amazing time! Those heals are gorgeous! And they would go with so many different outfits! This is a gorgeous kicks. a perfect pair to wear for party especially this holiday. Winning! Those heels are super cute and versatile. I love how you paired them in both picture and you look absolutely stunning. I’m definitely it going to check out heels.com. Thank you so much for sharing! Oh lucky you! Those shoes are absolutely gorgeous! The last time I wore heels was during my sister’s wedding – 13 years ago. Its not that I don”t want to wear heels but its just not good for my calf muscles. I have episodes of hypokalemia (low potassium blood levels) that cause major muscle cramps. I can just admire women who can carry themselves very well in heels. I love shoes and these are so pretty! Winning! Those heels are super cute and versatile. You paired them so well and you look absolutely stunning. I’m definitely going to check out heels.com. Thank you so much for sharing! I love platforms – but I think my feet would be killing me! My feet were pretty sore the first day but by the second day (and after taking Tylenol ahead of time lol) I was able to do ok. Took some getting used to though. Thanks 🙂 I don’t wear heels that often but learned years ago when my sister was in charge of the “Queen Pageants”. Its like riding a bicycle to me – something I will never forget. These heels are adorable! I really like that you can wear them either with or without the strap. It totally changes up the entire look of the shoes! Super cute! Thanks Jessica 🙂 They are really cute and versatile. I am actually just a little shorter than my husband lol. So I only wear these to places that he won’t be at with me. Otherwise I am like 4 inches taller than him, lol. I LOVE these shoes. They are just adorable. I need some black heels so I will check this out. Thanks for sharing. Thanks for the review!! I love to wear high heals unfortunately my heels doesn’t like it. I get too much pain with heels. Those heels are gorgeous! Would love a pair for me too! Gorgeous shoes! You look lovely! Love the shoes on you! And that red dress is AMAZING. You look great. I happen to have extra wide feet so I have a very difficult time buying shoes. I could not buy them online without trying them on first so I think you are so lucky to be able to use this convenient and fun service!